As labor organizers, we struggle in the field every day to improve the lives of workers; we are in search of tools and alternatives for working people that will meet the needs of today's casualized and insecure workforce, with shrinking or negligible benefits. It is in the spirit of innovative leadership that we propose that the labor movement use worker cooperatives, an alternative organizing strategy added to more traditional labor organizing methods, as a means of returning control of their lives to the American working people. The work of unions is to create workplace democracy, and in the larger picture, economic democracy. Currently, we do this in the context of an adversarial relationship between employer and employee. A worker cooperative is an alternative that reaches outside of the limitations of this model, converting workplaces into democratically run institutions owned by the workers. Worker cooperatives are not a panacea for the woes of today's labor movement. Yet worker cooperatives have a long history in the American workers' struggle for economic democracy and hold potential for expanding the labor movement into unexpected workforces, as well as providing alternatives for better serving the workers we already represent. Our objective is to bring about an institutional change that allows members of worker cooperatives to become full dues-paying members of labor unions and to make the formation of new worker cooperatives one of our organizing strategies. 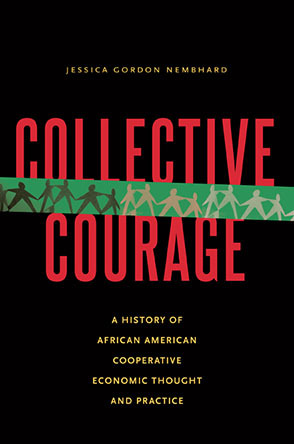 Unions could assist in the formation of worker cooperatives by forming an organizing committee in the workplace, researching a business plan, finding funding sources, preparing the legal structure, preparing the documents of incorporation, offering training in leadership development and conflict resolution, acquiring healthcare coverage, and structuring a pension plan and 401 (k). Incorporating worker cooperatives into union membership would broaden our political power and dues base, as well as expand our organizing potential. A worker cooperative can be defined as any democratically organized workplace which is wholly owned by the workers. In the history of the American labor movement, labor unions and worker cooperatives have gone hand-in-hand as striking workers repeatedly formed cooperatives in response to employer lockouts. The world's first large-scale working class cooperative was built in the late 1800's as part of the Populist Movement, the largest and strongest mass democratic movement in American history; and served as the organizational base of the Populist agrarian revolt. Twentieth century experiments in mixed ownership, such as Employee Stock Ownership Plans (ESOPs) have had some successes, including Southwest Airlines, Home Depot, and Avis Rental Cars. But beyond the rise and fall of these social experiments, worker cooperatives, by their stubborn resurgence, have proven to be a natural component of the struggle for workplace and economic democracy and could help to strengthen and grow today's labor movement. As the labor movement moves into organizing non-traditional workforces, such as child and home care providers, we have already started moving away from the realm of traditional employer-employee relationships. In these campaigns around the country, organizers have seen worker cooperatives as providing means for improving the lives of these workforces. A registry or referral service, a hiring hall, a pool of substitutes or assistants, or a rotating group of providers to provide coverage for days off, sick days and vacations are examples of worker cooperatives that can meet the needs of both child and home care providers alike. In addition to giving us real solutions for the workforces we are organizing today, worker cooperatives hold potential for opening up new work forces for labor organizing programs. Worker cooperatives tend to be small community-based businesses, for example many taxicab dispatchers and their cabs in Los Angeles and San Francisco/Bay Area are cooperatives. These cooperatives lack a cohesive political lobbying presence. When taxi drivers seek a rate increase, small groups meet with city officials over long periods of time to win miniscule rate increases. As members of organized labor, they would be in a better position to speak truth to power. Worker cooperatives are usually restricted to the private sector, but subcontracting of public sector jobs creates an opportunity for organizing worker cooperatives in the public sector. The conservative program of cutting taxes and shrinking government has led to a public sector workforce under attack. The rising tide of contracting-out of public sector jobs is shrinking the core workforce for traditional organizing of public sector unions. Yet the large national and international corporations that contract with public agencies have proven difficult targets for traditional labor organizing. When traditional organizing methods have failed against a subcontractor, unions could assist the workers in forming their unit into a worker cooperative that could bid for the local contract. Since they would not be supporting large management salaries, they could under-bid the large corporate subcontractor. The labor movement could then use their lobbying strength to create legislation and budgetary policy favoring local worker cooperatives. Awarding a contract locally keeps the monies in the local community, within the local tax base. Much like the Living Wage campaigns, this strategy would help stem the tide of outsourcing of public sector jobs, while safeguarding of public monies and ensuring the greatest community benefit from the expenditure of public funds. Yet there are obstacles to this marriage. The labor movement is in a life and death struggle in an economic war. Representing only eleven percent of the American workforce, the labor movement seeks to organize in larger and larger bites with fewer and less experienced staff (for those in the field, this sometimes seems uncomfortably close to the logic of the desperate gambler who places larger and more reckless bets to recoup devastating losses). Worker cooperatives tend to be small business endeavors, ideologically attractive but strategically unattractive. To win the numbers game, labor must do a better job of agitating, educating, and mobilizing its members to become volunteer member organizers actively involved in small scale organizing campaigns in their local communities on an ongoing basis. As it stands, most locals lack an organizing program and lack organizing targets. Empowering locals to help organize worker cooperatives in their community would benefit all working people. Therefore we appeal to the worker cooperative community to join with us in developing the labor-coop paradigm by helping us to find organizing targets in the worker cooperative model. As we all know, the labor movement is built on small incremental gains of brave committed people standing up for their ideals. Healthcare and other benefits, worker's compensation, the fourty-hour work week, eight-hour over time, vacations and sick days, pay increases, health and safety regulations, and the ever popular weekend add up to a lifestyle we now take for granted. Many smaller bites may prove a more easily digestible staple diet for union organizing without precluding the periodic feast. Lisabeth Ryder is the Western regional field administrator for the American Federation of State County & Municipal Employees in Oakland, California. Email her.